A light-filled living room has been given an updated colour scheme to create a cohesive room. 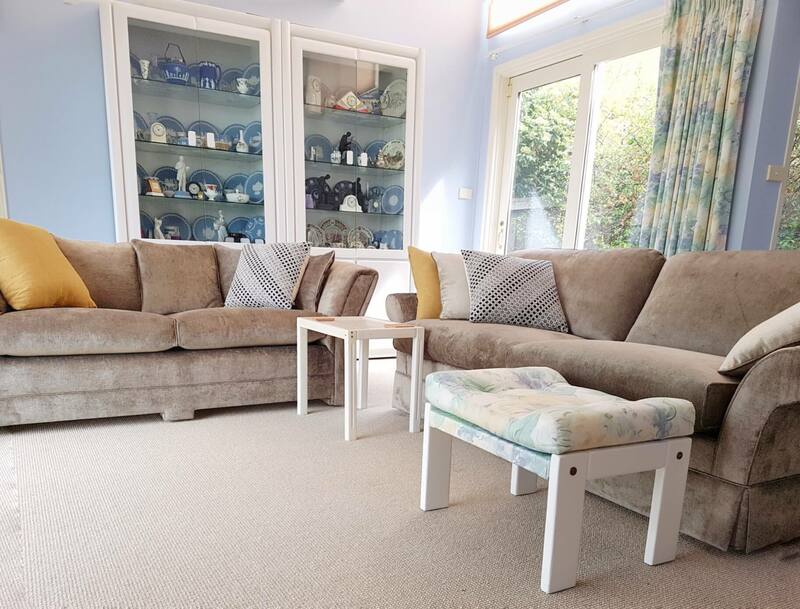 This client wanted to update her living room with a new fabric for her couch, new carpet and a colour scheme that complemented the bright room. The new colours had to work with the existing curtains that are in a light blue, green and warm neutrals and the china in blue and white. We selected warm neutrals tones for the carpet to tie in with the curtains and create a neutral base. A darker neutral colour, similar to the carpet, was chosen to work with the carpet. The light blue walls complement the warm neutrals and tie the blue china and the blue in the curtains together. 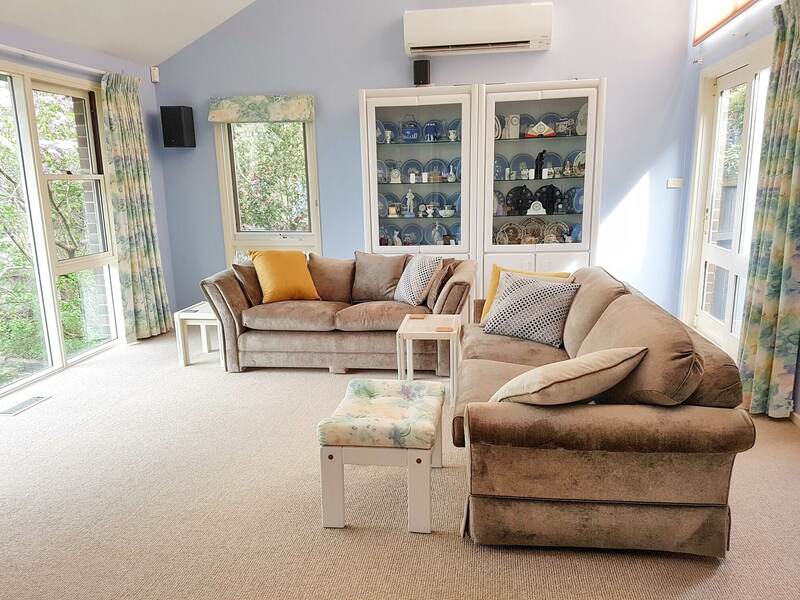 The colours in the room are now balanced and create a lovely bright and welcoming living room.